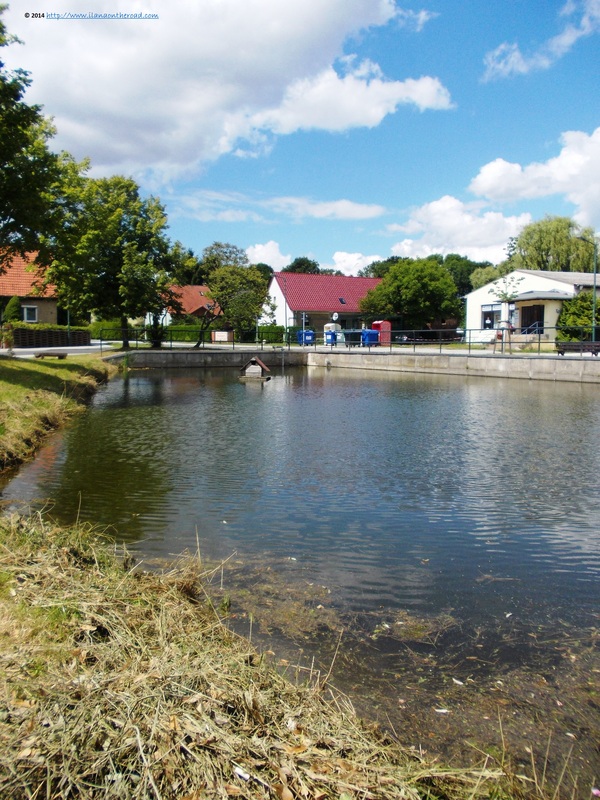 After the beautiful hike in Thale I decided to spend even more time outdoors, and that next travel destination would be in a place with more nature and eventually, with much more little animals. 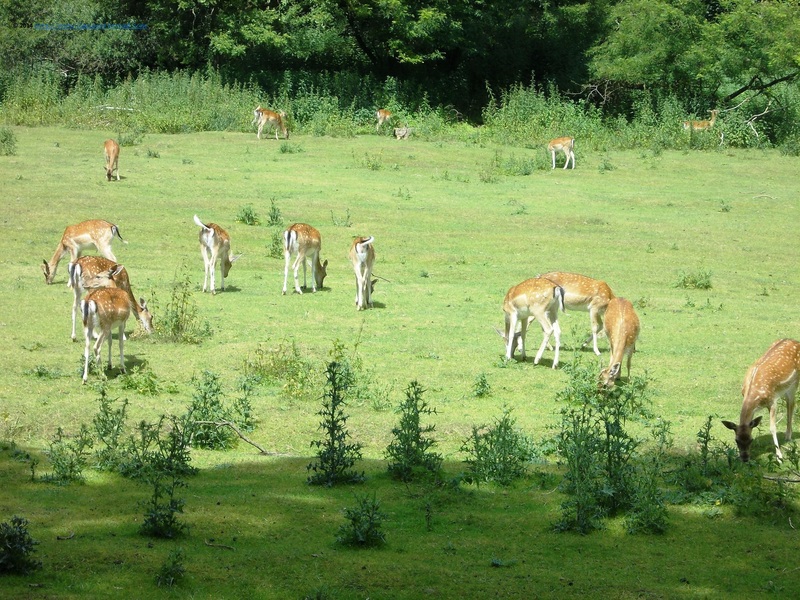 As on my bucket list for this year I also included the visit to some natural parks in Germany, I decided to start with the one closest to Berlin: Wildpark Frankfurt (Oder). It is situated only one hour away from Berlin, and the trains are going there regularly. I went down at Rosengarten train station and kept walking for another 30 minutes. The neighbourhood is very quiet, more beautiful than the other part of the city I visited a couple of years back. There are flowers everywhere. Big billboards announced the past Rose's Festival held a couple of days ago. 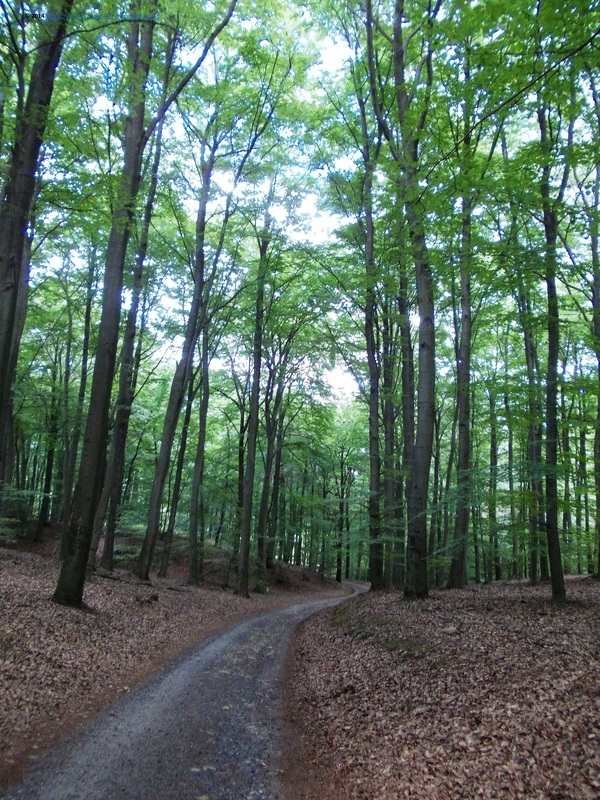 The closer I am to the Wildpark, the more beautiful the scenery. 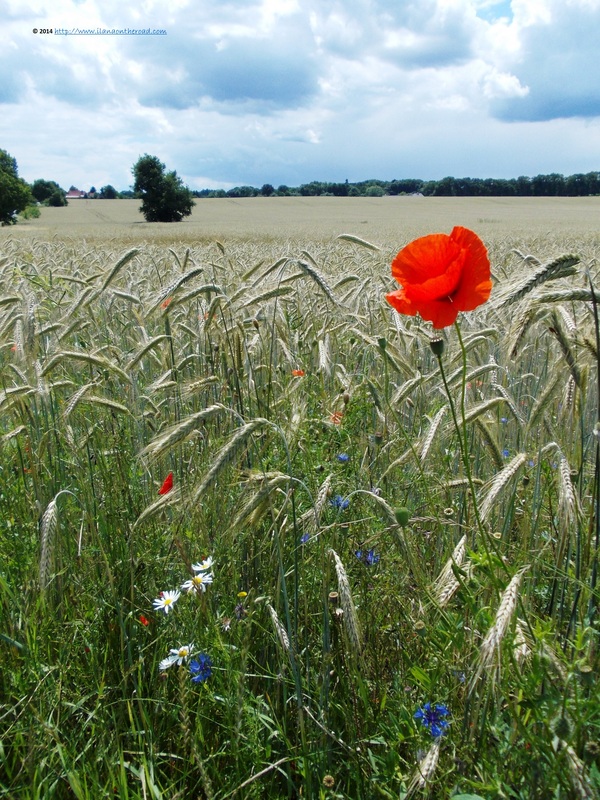 Wheat crops with delicate patches of poppy and blue flowers invite me to stay more and have a full experience of the life at the countryside. Next experience: life in the middle of the nature. The experience of walking in the middle of so many beautiful animals, most of them free in the park, is unique. My first encounter out of many others is with the deer, who after instantly hearing the presence of the intruder, are gathering into small groups, facing me with their back. 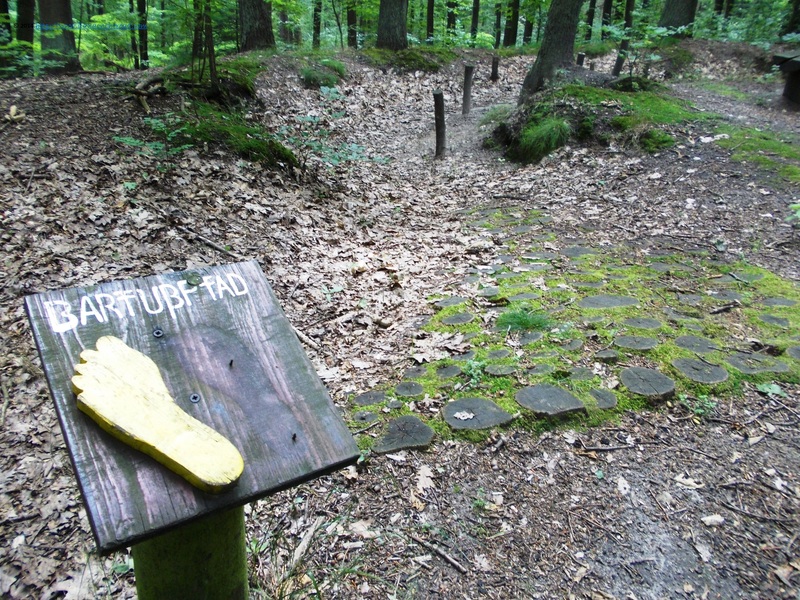 The park is a relatively new presence on the map of natural reservations in Germany. 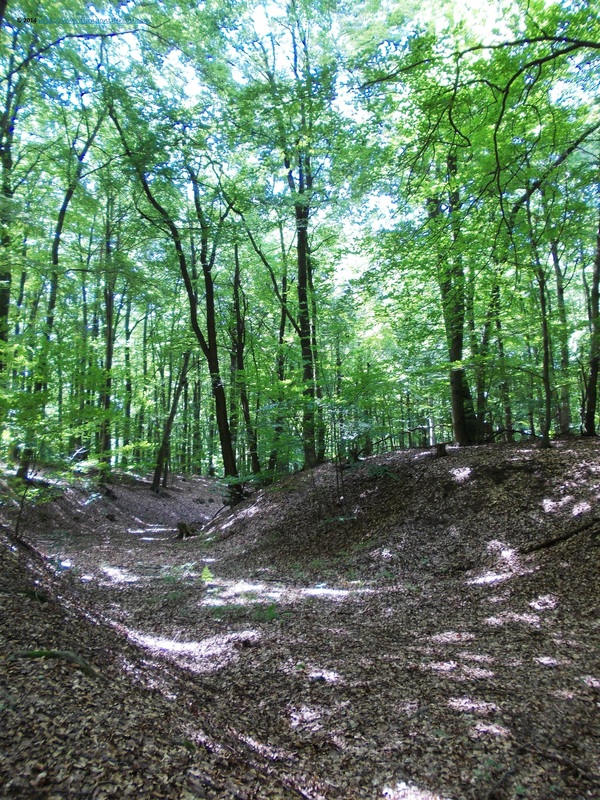 Previously a training camp of the Soviet Army stationed in the area, it was changed into the current shape little by little from 1994 to 2000. It covers 16 ha., with more than 300 animals from around 30 species. 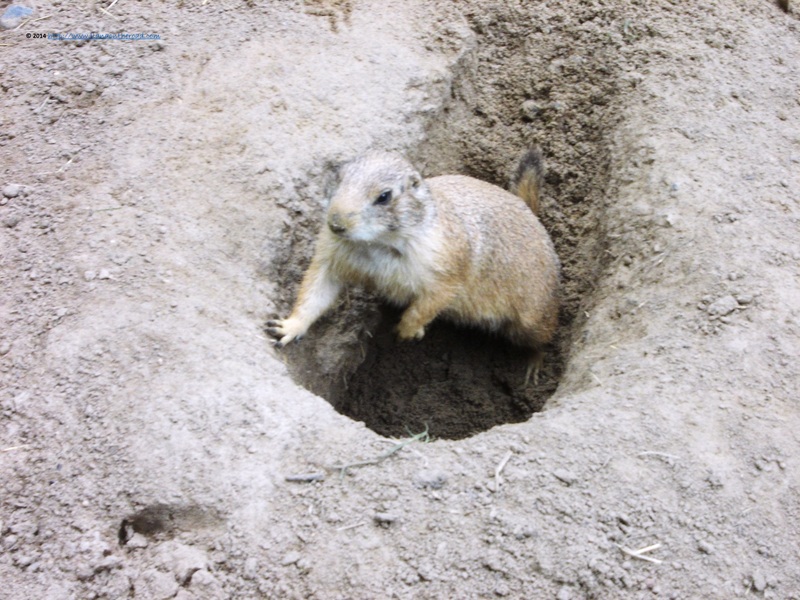 The funniest encounter by far was with the very active prairie dogs. Spread on an open field, they go out of their holes to communicate with their neighbours through short screams. Although the majority of them are running crazy to hide in their holes when they feel my presence, one is more courageous and come closer, allowing me to make him the hero of a short movie. 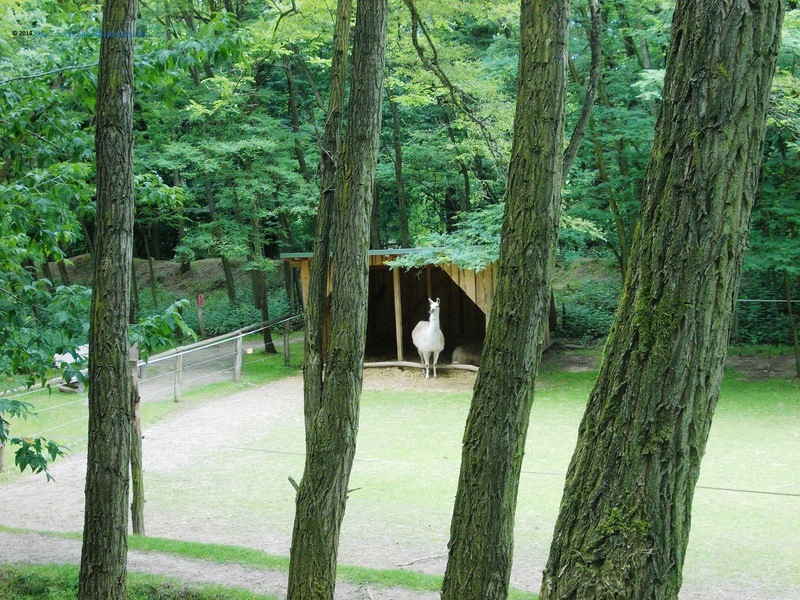 From behind the trees, I am observing a family of lamas doing their daily walk. In a big wooden cake, the hamsters are having breakfast and I am allowed to touch and play with some of them. Some of them were brought here after their owners, small children sometimes, were no more able to take care of them. Everyone is friendly around, and the animal caregivers are ready to share with me their knowledge about the little residents of the park. 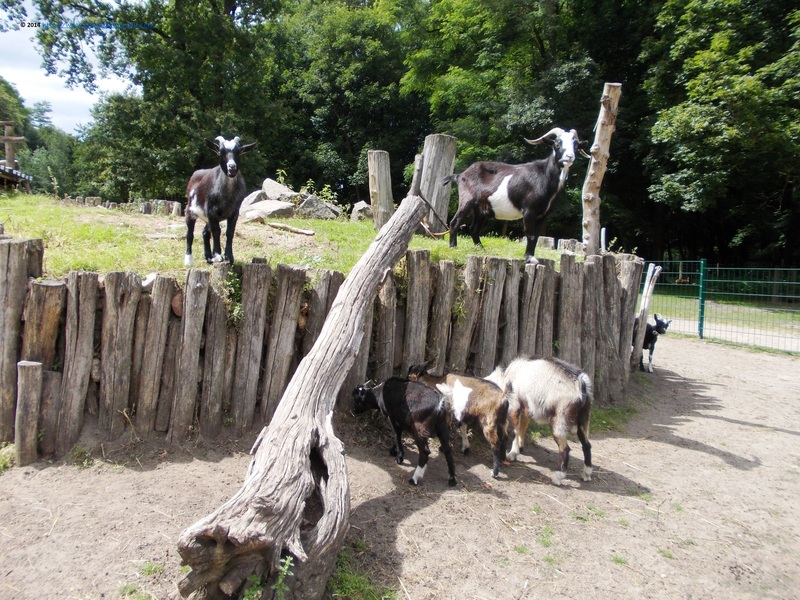 There are also some very funny goats, bleating on different tonalities when someone is approaching. They jump or run together from a place to another, probably expecting some substantial dinner that unfortunately seems to have been postponed for now. After many hours of wandering through the natural park, sometimes in the company of children brought here with their school or kindergarden for some open air activities, I decided to continue my natural experiences, with more hiking. I cross path with people of all ages, some of them doing Nordic walking, some of them simply spending outdoors a beautiful summer day. A small path invites to bar foot walking, and if not so many insects around, I would love to give a try to this walking alternative too. The area is marked and there were different walking alternatives, of an average of 2-3 km. It's quite easy, but one has to be careful with the cars crossing often the paths. 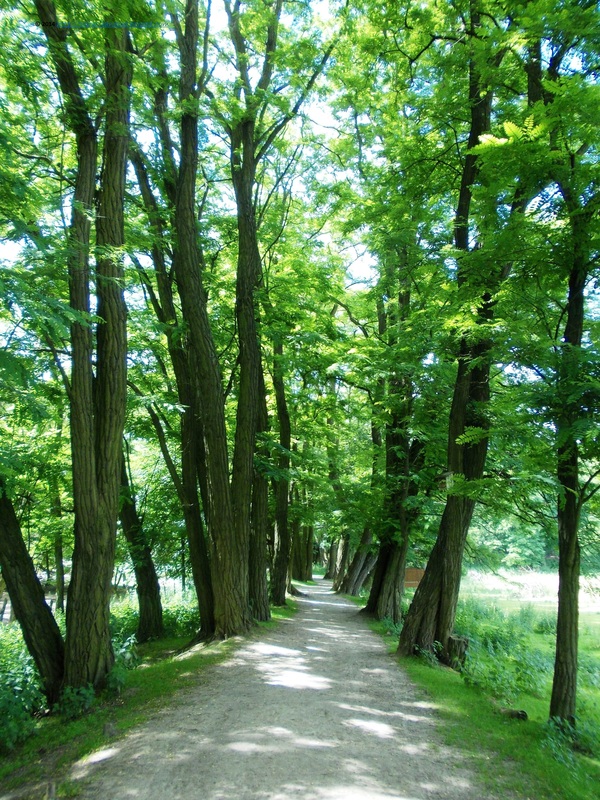 I am walking for more than one hour, enjoying the singing of the birds and the fresh air of the forest. 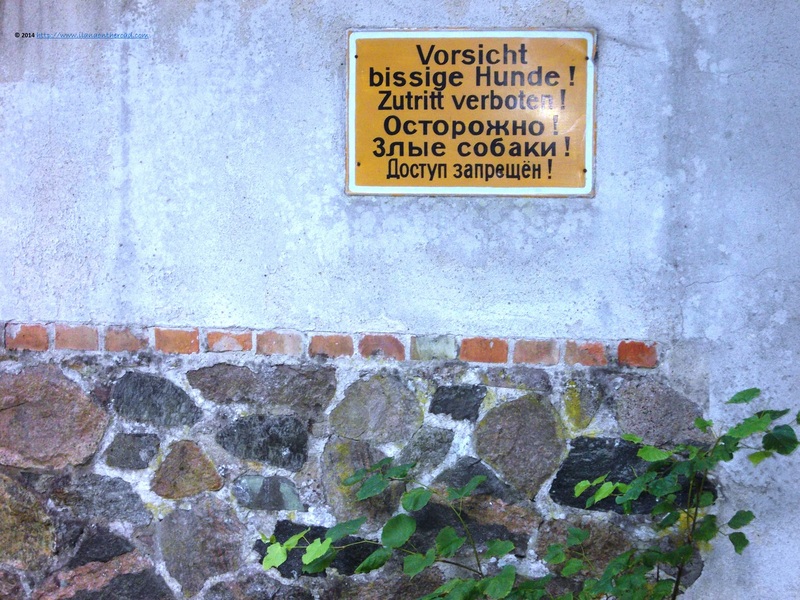 At a crossing point, I receive a message congratulating me for entering Poland. Although in the main part of the city, there is possible to cross a bridge to Poland, I don't see any clear sign this time, but with the volatile borders of Schengen, you never know which country you are exactly, and this is good. 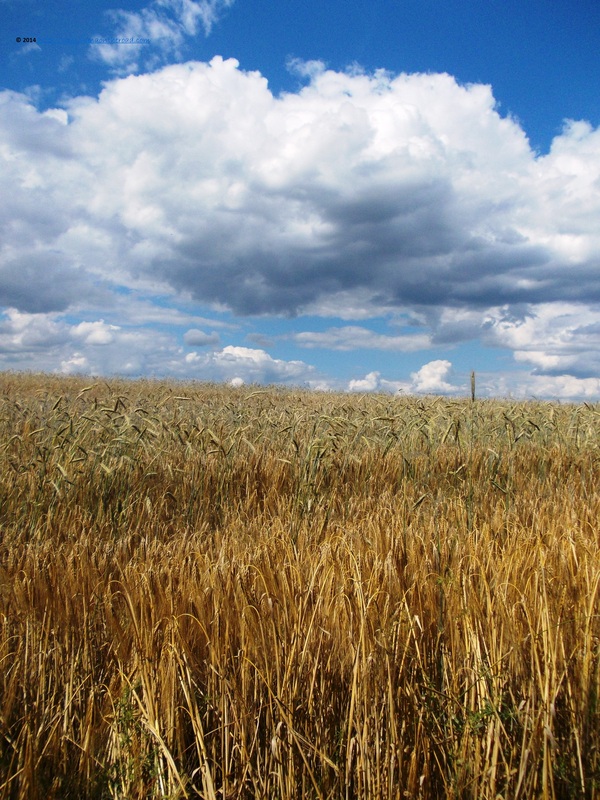 With more golden wheat crops and a beautiful sky, there is nothing left to worry about. Summer is such a precious encounter in this part of the world and I am decided to make the best of it in the coming months.